Inventory Management Software - InveTrak STK is an entry-level warehouse management system. ATS does more than just track your assets... it manages your assets. With InveTrak ATS you will have full control of yourassets. ATS has been designed to manage the assets of medium to extremely large companies and corporations. ATS Mobile runs on any Windows Mobile Device and provides the following functionality. A replicated SQL CE database enables you to work on/or off line. The ATS locator system provides a 5 level hierarchal configurator that provides almost endless possibilities with regards to the configuration of the locator system. And with our GPS interface you are provided with a 6th level that only InveTrak can provide. Each asset is assigned a category and each category can have as many as 20 separate user defined fields. 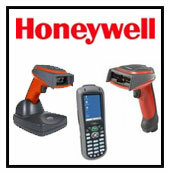 This provides the level of customization needed to maintain and track just about any type of asset. Now there’s no question what you are looking for. You can maintain as many as 4 separate captioned photos of each asset. When assets are comprised of other assets ATS does something that other asset systems don’t do… it manages it. You can have an unlimited number of sub assets, and yes, sub-assets can even have sub assets. ATS Mobile takes advantage of Global Positioning Satellites when the Windows Mobile device is equipped with GPS.ATS provides an interface to the most popular global possitioning software on the market today. With this interface you will be able to track, with pinpoint accuracy, the exact location of your assets anywhere on the planet. Another unique feature of AST is its procedure writing and execution module. With this feature you’ll be able to write procedures for maintenance, inspection, disposal, or just about anything else you can think of. These procedures are then associated with specific assets. The system automatically generates execution schedules and then walks the operator through the execution of the procedure when it’s time. The execution of a procedure results in a digital log that is retained indefinitely. These logs can be retrieved and printed on demand. The folks at InveTrak understand the importance of being able to authorize and track the execution of the Transfers and Disposals. ATS provides a complete authorization system that manages and oversees the approval process for asset transfers and disposals. You can be assured that no asset will be transferred or disposed without the necessary approvals. Every time an asset is touched in the system a record is posted to a transaction history table that is available in inquiry screens and reports. There will be no questions as to who, what, when, where, and why assets get touched. ATS keeps track of purchasing info, serial numbers, vehicle identification numbers, primary and current asset locations, unlimited comments, and unlimited sub-assets, up to 20 different user fields, scheduled events, event logs, warranty, software, and global positioning. The ATS security system prevents people from accessing features they shouldn’t and provides them with instant access to those features they need. We even allow you to create security groups. With the number of base reports along with numerous filtering options and drill-down capabilities you’ll have an almost endless number of reports to work with. With its numerous filtering options the Asset Inquiry screen will enable you to retrieve the desired asset records instantly. ATS provides a number of filtering options throughout the application that are retained and used until the operator decides to change them. This allows controlling parties to view and work with only the assets that have been assigned to them. Filters can be disabled with the click of a button when it’s necessary to view all records. Tired of people entering multiple/various descriptions for the same type of assets? InveTrak ATS has an optional solution to the problem. We enable you to specify the allowable descriptions that fall under each category. When this feature is turned on, the user must select the appropriate description from a list of descriptions. When the asset is a computer InveTrak ATS provides the ability to keep track of the software that is installed on each of your machines. This is a desirable feature for the IT professional that is responsible for maintaining the companies computers and the software on the computers. It’s one thing to know where your assets are and another to know where they are supposed to be. ATS tracks both the assets primary and current locations. When an asset has been moved to a location that doesn’t fall under the hierarchy of its primary location, ATS brings the problem to the surface. Design and print your asset tags and location tags using the leading label printing software on the market. All InveTrak products interface with the industry leading “NiceLabel Software” . No need to enter data more than once. With its intuitive and easy to use mobile interface users will be able to easily navigate through the application and perform their day-to-day activities with ease. The mobile device maintains a replicated SQL CE database that enables the tracking of hundreds of thousands of assets and best of all users will be able to work on or off-line. When installed on PDA style Window Mobile devices you have the best of all worlds. Interfacing with the leading label design and printing software on the market (NiceLabel), InveTrak will manage your label printing.